Computers make millions of records readily accessible to you; among those records you may find information about many of your ancestors. In a sense, instead of traveling throughout the world to do research, computer technology brings the world to you. It also improves the speed and efficiency of the process of clearing names for temple ordinances to be completed. Elder Richard G. Scott of the Quorum of the Twelve Apostles spoke of the many individuals who were developing new and more efficient computer technology to simplify our work in family history: “Many brilliant minds and sensitive hearts have harnessed advanced technology to provide personal computer helps to simplify family history work” (in Conference Report, Oct. 1990, 4; or Ensign, Nov. 1990, 6). This chapter will help you become more aware of the Lord’s influence in the ongoing development of new technology. The Church’s Family History Department (known publicly as FamilySearch) is using improved computer technology to provide you with the ability to seek out the names of your ancestors and provide saving ordinances for them. This chapter will inform you of several additional sources of help available through computer technology. As you read this chapter, identify the resources that will help you in your family history work. 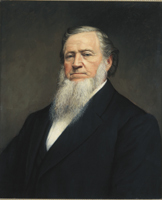 Susa Young Gates, the daughter of President Brigham Young (1801–1877), once asked her father “how it would ever be possible to accomplish the great amount of temple work that must be done, if all are given a full opportunity for exaltation. He told her there would be many inventions of labor-saving devices, so that our daily duties could be performed in a short time, leaving us more and more time for temple work” (Archibald F. Bennett, “Put on Thy Strength, O Zion!” Improvement Era, Oct. 1952, 720). “… I believe that the Lord is anxious to put into our hands inventions of which we laymen have hardly had a glimpse” (“When the World Will Be Converted,” Ensign, Oct. 1974, 7, 10). “When the servants of the Lord determine to do as He commands, we move ahead. As we proceed, we are joined at the crossroads by those who have been prepared to help us. “They come with skills and abilities precisely suited to our needs. And we find provisions; information, inventions, help of various kinds, set along the way waiting for us to take them up. “When we are ready, there will be revealed whatever we need﻿—we will find it waiting at the crossroads” (in That They May Be Redeemed: A Genealogical Presentation by Elder Howard W. Hunter and Elder Boyd K. Packer [regional representatives’ seminar, Apr. 1, 1977], 3). You live in a time when the vision of Joel is being fulfilled: “I will pour out my spirit upon all flesh” (Joel 2:28). “There has been more of scientific discovery during these years than during all of the previous history of mankind. Transportation, communication, medicine, public hygiene, the unlocking of the atom, the miracle of the computer, with all of its ramifications, have blossomed forth, particularly in our own era. During my own lifetime, I have witnessed miracle after wondrous miracle come to pass. We take it for granted” (in Conference Report, Oct. 2001, 3; or Ensign, Nov. 2001, 4–5). “Ultimately, the earth will become celestialized (see Revelation. 21:1; D&C 77:1; 88:25–26). But its last days must be preceded by its latter days! “We live in those latter days, and they are really remarkable. The Lord’s Spirit is being poured out upon all inhabitants of the earth, precisely as the Prophet Joel foretold. His prophecy was of such significance that the angel Moroni reaffirmed it to the Prophet Joseph Smith (see Joel 2:28–32; Joseph Smith—History 1:41). “Computers have been developed that allow the Church to serve living members and to organize information relative to progenitors who live on the other side of the veil. People throughout the world, once little concerned with family history, now search for roots of their ancestral heritage using technologies unavailable a century ago” (in Conference Report, Apr. 1990, 18–19; or Ensign, May 1990, 17). “It is no coincidence that FamilySearch and other tools have come forth at a time when young people are so familiar with a wide range of information and communication technologies. Your fingers have been trained to text and tweet to accelerate and advance the work of the Lord﻿—not just to communicate quickly with your friends. The skills and aptitude evident among many young people today are a preparation to contribute to the work of salvation” (in Conference Report, Oct. 2011, 26; or Ensign, Nov. 2011, 26). “We know that God our Father is our greatest teacher, and nothing that we might read or hear should quicken our attention like His instructions and counsel. These marvelous new technological developments have been revealed in this dispensation in greater fulness and greater plainness than ever before in the history of the world as far as we know so that His purposes might be speedily brought to pass. The Church, in establishing family history centers, is now bringing these marvelous developments directly to you” (in Conference Report, Apr. 1991, 99, 101, 103; or Ensign, May 1991, 75–77). FamilySearch contains the largest free collection of records, resources, and services for family history in the world. As you become familiar with FamilySearch and use it to search for names of your deceased ancestors, you will discover generations of your ancestors already linked together, and some (perhaps all) of them may need temple ordinances. Information that users enter directly into the system or contribute with a GEDCOM file. Ancestral File and Pedigree Resource File. 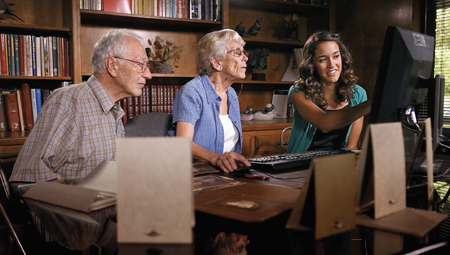 The Church of Jesus Christ of Latter-day Saints published these computerized databases to help Church members and other family history enthusiasts coordinate family history research. The International Genealogical Index (IGI)﻿—a database of about 250 million names submitted to the Church or extracted from microfilmed records from around the world. Numerous other records collections from around the world, such as birth, marriage, death, census, and other family history records. Forums where user communities can discuss products, research techniques, hints and tips, and even families or surnames in specific locations. The Research Wiki﻿—a community tool that lists research hints, tips, and techniques based on geographical locations. The Family History Library Catalog﻿—an online catalog of records and materials in the Family History Library in Salt Lake City, Utah. These materials can be loaned to local family history libraries operated by the Church. Online training courses﻿—both live and recorded classes from experts in genealogical topics. The FamilySearch programs are constantly being expanded, updated, and improved. “One of the most significant advancements for FamilySearch in recent years was put into place in 2005, when 15 high-speed scanners were developed to convert images previously contained on microfilm into digital images. These scanners are converting 2.5 million rolls of microfilm from the Church’s Granite Mountain Records Vault into tens of millions of ready-to-index digital images. “The scanners are like a camera: as the microfilm unwinds, the images on the microfilm are converted into a long ribbon of high-quality digital images. A computer program quality-checks the ribbon and uses special algorithms to break it up into individual images. “These rolls of microfilm include images of important historical documents gathered from all over the world﻿—birth and death records, hospital records, family histories, immigration forms, historical books, and more. “… ‘The records FamilySearch contains currently, when digitized, would equal 132 Libraries of Congress or 18 petabytes ([18,000] terabytes) of data﻿—and that doesn’t include our ongoing acquisition efforts’” (Heather Whittle Wrigley, “Technology Helps FamilySearch Volunteers Hit Major Milestone,” Ensign, Dec. 2009, 77). 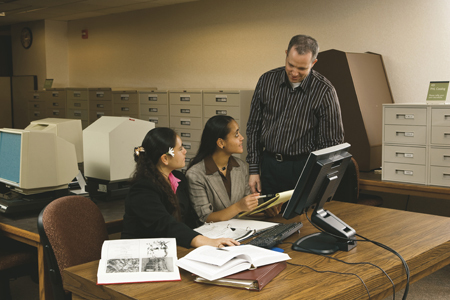 FamilySearch and various agencies around the world cooperate with each other to allow the copying and preservation of important historical records. “Representatives of the Church’s Family History Department [FamilySearch] oversee the effort to acquire records, beginning with prioritizing what records would be most valuable to the public and matching limited human resources to gather them. “Once a project is complete, up to a terabyte (1,000 gigabytes) of images and information is sent to Salt Lake City, where the images will be processed, preserved, copied, and distributed based on the contract specifications. 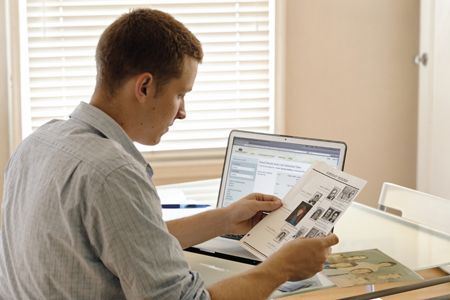 Many images are published on FamilySearch.org; some are published on commercial genealogical Web sites; sometimes the archive itself publishes the work” (Wrigley, “Technology Helps FamilySearch,” 76–77). 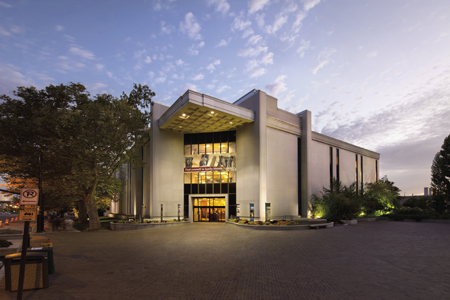 To help FamilySearch expand its collection of family history records and “to make all of these digitized records available to the public, the Family History Department developed [an online indexing program]. There, anyone can download images of historical documents to a computer and transcribe the information to help create a database of names, dates, locations, and other information﻿—free for all to search online at FamilySearch.org” (Wrigley, “Technology Helps FamilySearch,” 77). Much more information is now available and searchable at the touch of a finger. After you sign in at the new.FamilySearch.org website, click on Learn How to Use FamilySearch to access available tutorials and guides. In them you will find helpful videos, lessons, and documents explaining how to proceed. If you have not yet registered for an LDS Account, you may do so by clicking Register for the new FamilySearch on the opening screen and following the instructions. You will need your Church membership record number (available from your ward or branch clerk or printed on your temple recommend) and birth date. Since so many people around the world are interested in family history work, educational and commercial websites and software products have been developed by groups other than the Church. One educational website was developed at Brigham Young University in Provo, Utah. This website has online lessons, assignments, and links to other helpful family history sites that can teach you how to do family history. It is free and available to anyone with Internet access. You may access this website at familyhistorylab.byu.edu/261. Several commercial programs exist that can by synchronized with the FamilySearch website in order to submit names for temple work. If you are interested in commercial software, check with your instructor or a family history consultant who may have current information about good commercial programs. Remember, however, that it is not necessary to purchase any software to be successful in family history work. Reach out to Church members to help them individually with their family history. Focus on helping those individuals and families suggested by the priesthood executive committee and ward council. Meet with new members of the Church to help them identify deceased ancestors and go to the temple to be baptized and confirmed for their ancestors. 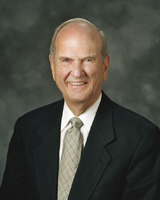 Elder Russell M. Nelson stated that individuals without access to computers, or who prefer not to use computers, can ask a family history consultant for help: “Now, what about those of you who have no access to a computer or prefer not to use this technology? Don’t worry! Take one step at a time. … Avail yourself of assistance from your ward or branch family history consultant. The new FamilySearch system enables a consultant to perform all needed computer functions for you, including preparing names for the temple. About 60,000 consultants serve throughout the world. One in your ward or branch can be very helpful to you” (in Conference Report, Apr. 2010, 90; or Ensign, May 2010, 93). In what ways have you seen technology help further the work of the Lord? In what ways could you take more advantage of the computer and the Internet in your family history work? Practice navigating through the new.FamilySearch.org website, and read some of the help options available. Begin (or continue) to search for your ancestors in FamilySearch. David B. Haight, “Linking the Family of Man,” Ensign, May 1991, 75–77. Heather Whittle Wrigley, “Technology Helps FamilySearch Volunteers Hit Major Milestone,” Ensign, Dec. 2009, 76–78. Scott D. Whiting, “Digital Detachment and Personal Revelation,” Ensign, Mar. 2010, 16–21. Russell M. Nelson, “Generations Linked in Love,” Ensign, Mar. 2010, 91–94.